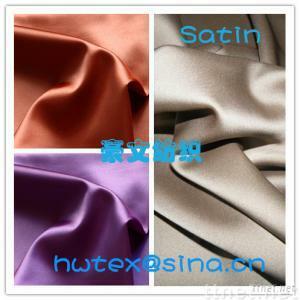 NAME charmuse satin fabric MATERIAL 75D*150D CONTENT 100% polyester Used: garment, curtain, linling, dress, etc. Hope we can establish a long-time and steady relationship in near future.You are always welcome. 1.Payment: T/T or L/C ( can be negotiated). 2.Delivery time: 20-45 days upon reciept of the 30% deposit. ( can be adjusted).